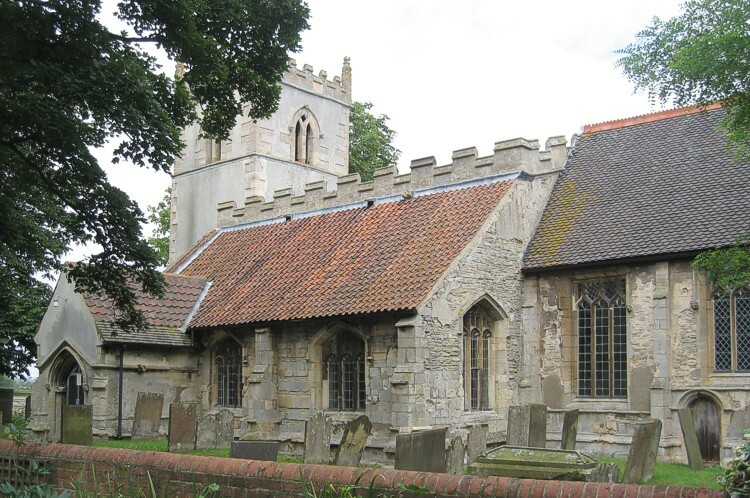 Domesday Book records that Langford had a priest and a church, and evidently the village had not suffered unduly from the Conquest as the value at the Domesday survey was 10s more than prior to 1066. The present church has evidently grown up in a position close to the medieval manor house, which still exists, and away from the bulk of the village which lies on the nearby main road. The former rectory is immediately adjacent to the church. The present church comprises a chancel, nave with south porch, south aisle, and a west tower. There is clear archaeological evidence in the fabric of the north wall to indicate the existence of a former north aisle and a north chancel chapel; the blocked arch in the chancel still remains and appears late 14th century. The tower dates from the 13th century and is of simple form. The nave, south aisle, clerestory, and chancel all have 15th century architectural ornament – especially noteworthy are the castellated piers to the south arcade – although the core of the building fabric may be earlier. The oak roof of the nave is of low pitch, three bays, and evidently dates from the 15th century, having figurative and foliate carved ornament. There is a monument of a knight dating from the later 14th century, and there are a some 19th century family monuments on the walls. The majority of these are to the Duncombes of Langford Hall, one of whom, Captain G T Peirse-Duncombe, gave the marble font to the Church in 1887. The tower contains one bell though in 1740 it had three. The surviving bell, by Taylors of Loughborough is dated 1814 and is a recast of an earlier bell. The bellframe may be 17th or early 18th Century in date. Recent repair work revealed vestiges of wall painting in the chancel, probably of medieval date, but very fragmentary. Restorations were carried out in 1841, 1878, and more recently in 2004-7.